Just Harvest encourages informed participation in every local and national election. Justice and democracy require that low-income people and their concerns be heard throughout the political process. 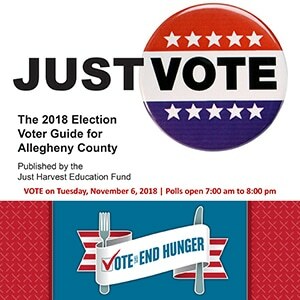 We work to mobilize and empower low-income voters and inform Allegheny County residents about where candidates stand on hunger and poverty issues. Voter Registration – We do outreach to low-income and under-served communities to register their residents to vote. We also conduct voter registration through partnerships with community organizations, labor groups, and social service agencies. Voter Participation Pledges – We encourage registered voters to sign an “I Pledge To Vote!” form. We use these pledges to educate and mobilize. Voter Education – We help to inform new voters about the voting process and polling place locations. We ensure voting rights by dispelling myths about disenfranchisement for past criminal convictions, identification requirements at polling places, and related ballot access issues. 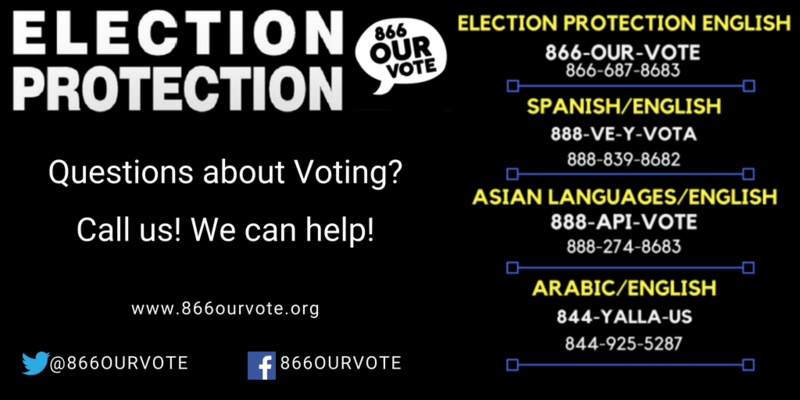 Voter Guides – We produce voter guides that include candidates’ answers on targeted questions about solutions for ending hunger and poverty. We distribute the guides to Just Harvest members, newly registered voters, pledgers, and to other low-income voters. Voter Mobilization – We conduct non-partisan Get-Out-The-Vote drives during election seasons. This includes public events, media, phone banking, and direct mail to new registrants and pledgers, and face-to-face reminders at community partner agencies. 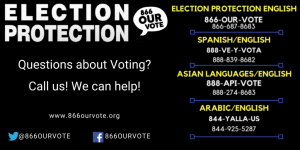 Voter Protection – Together with many allies and an extensive non-partisan coalition, we help raise awareness about the legislation and policies that affect voting rights. Issues include voter identification requirements, polling place accessibility, and voting machine integrity. To help us with these efforts this election season, contact our volunteer coordinator, Amanda Fry, at amandaf@justharvest.org or (412) 431-8960 x124. To learn more about voting in Pennsylvania visit VotesPA at the Pennsylvania Department of State.